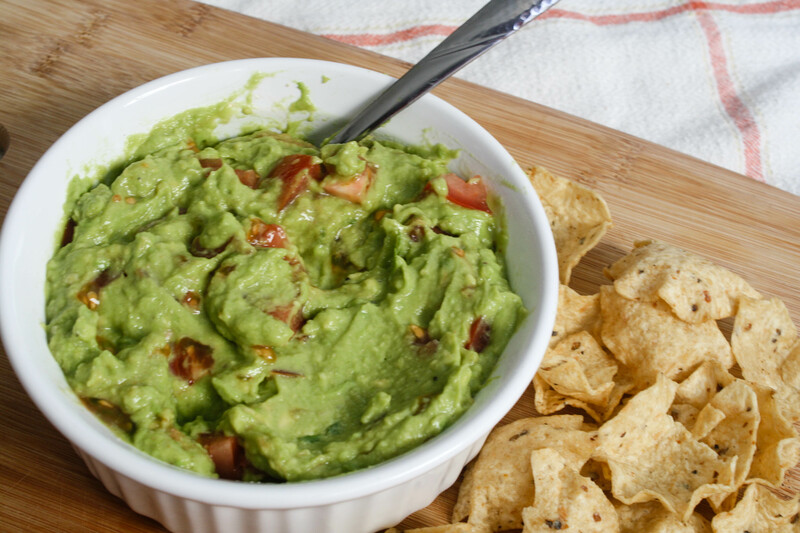 An immersion blender makes it so easy to make delicious guacamole at home! This is not a sponsored post. 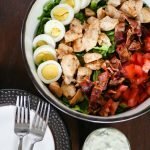 I love using my immersion blender and wanted to share this recipe! 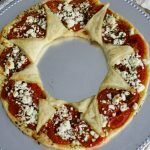 This post does contain affiliate links, and I will make a small commission when you buy through these links. Thank you for supporting A Savory Feast! Awhile back I was researching some ideas for my Creamy Pumpkin Soup when I came across a recipe that used an immersion blender to puree the soup. I was instantly intrigued by this little gadget and decided to throw it on my wedding registry. I am so glad I did! An immersion blender is so easy to set up, use and clean. It is perfect for scrabbling eggs, making smoothies without taking out your big blender, or making homemade whipped cream. I’ve been using mine at least once a day! I love avocado and use it often. Mashing it with a fork is a pain, though! I decided to try making homemade guacamole with my immersion blender. It was so much easier, and so good! Using an immersion blender to blend the avocado is so fast! You can create the texture you want by either blending it for a short time so you still have some avocado chunks, or blending it for a little longer to get a completely creamy texture. 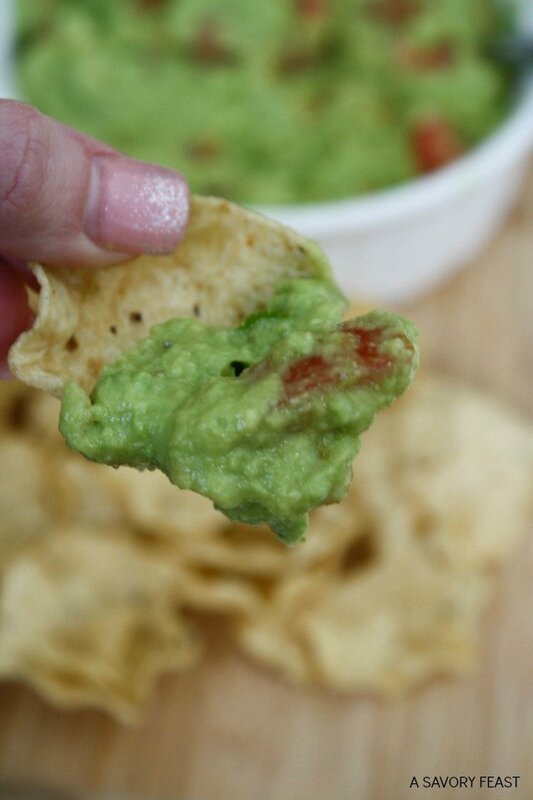 Guacamole goes great with chips or you can use it to top homemade tacos! We had some friends over for a football game a few weeks ago and we served tacos. 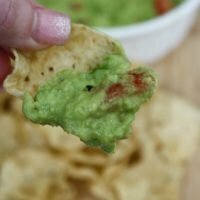 I made this guac and we used it as an appetizer with chips and to top our tacos. It was a hit! 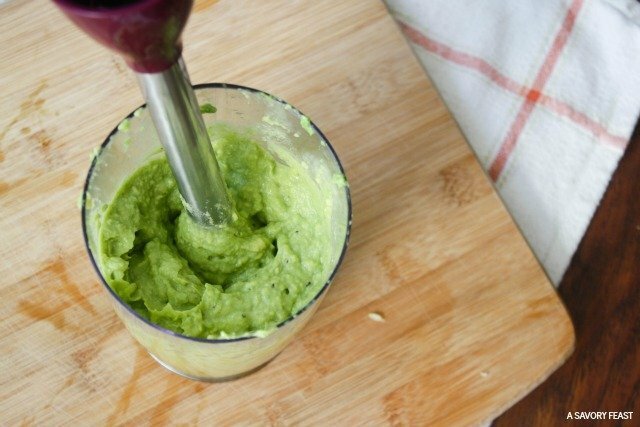 Slice the avocados in half and scrape out the middle into a mixing bowl or the cup that comes with the immersion blender. Add the garlic, cilantro, lime juice and seasonings. Use an immersion blender to blend to the desired consistency. Transfer the avocado mixture to a serving bowl and stir in the tomatoes. Serve immediately or refrigerate until you are ready to eat. 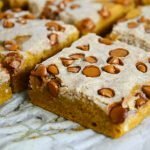 If you don't have an immersion blender, you can still make this recipe! You can use a fork to mash the avocado. Do you have an immersion blender? What is your favorite thing to make with it? I got one for our Wedding and still haven’t busted it out. Definitely need to try that! I LOVE mine! You’ve got to try yours soon. It’s great for scrambling eggs, too. Thanks, Nina! It makes it SO much easier. Yummm! 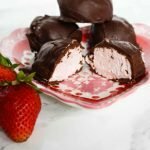 These pictures totally just made my mouth water! I love guacamole! I do, too! You would love making it with an immersion blender. So much easier! 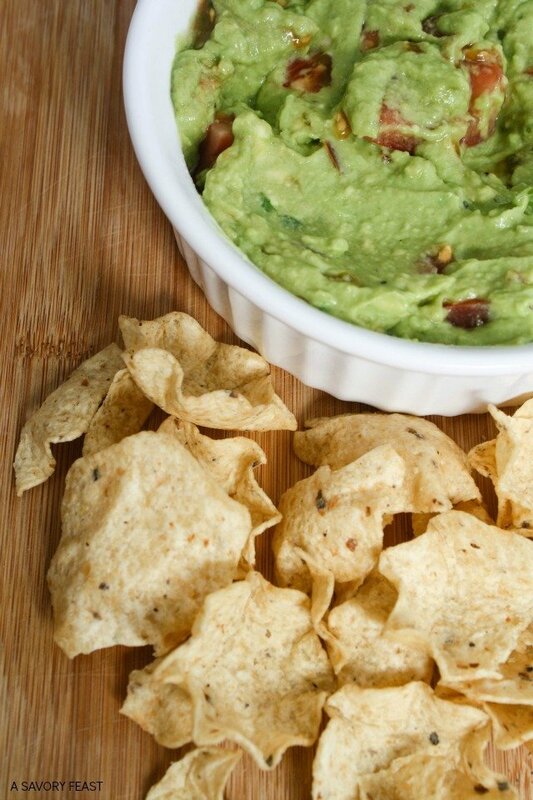 Guacamole is the best! My husband absolutely hates guac that is chunky, it grosses him out lol. So, I have always used a food processor when I make salsa and guacamole. I don’t have an immersion blender, but I really need to get one. So convenient! You would love an immersion blender! I left my guac a little chunky, but you could totally blend it longer so it’s smooth and creamy. YUUUUMMMM! I love guacamole! Unfortunately, I’m the only one in our family that does. Maybe I can start training the one year-old to love it. 😉 Thanks for sharing this recipe! How smart is this! I started seriously looking at immersion blenders after I had to puree soup in a regular blender in batches…messy and tedious! I see you have a Kitchenaid one. Is yours the basic one or one of the more powerful models? I wanted one for the same reason! I just have the basic one that costs around $30. It’s fantastic! Quick, easy and every thing is so smooth. 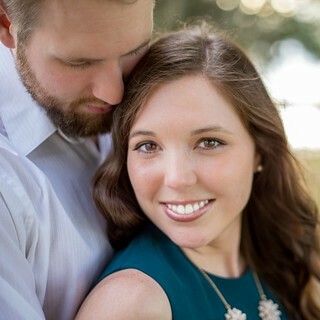 Thanks so much for sharing your post with us at Full Plate Thursday and have a great day. Thanks for stopping by, Miz Helen! Last night I had deviled eggs filled with guac…. Um. I won’t tell you HOW MANY I ate but…. I ate enough… Wait, no. NEVER! LOL! Ooooh that sounds brilliant! 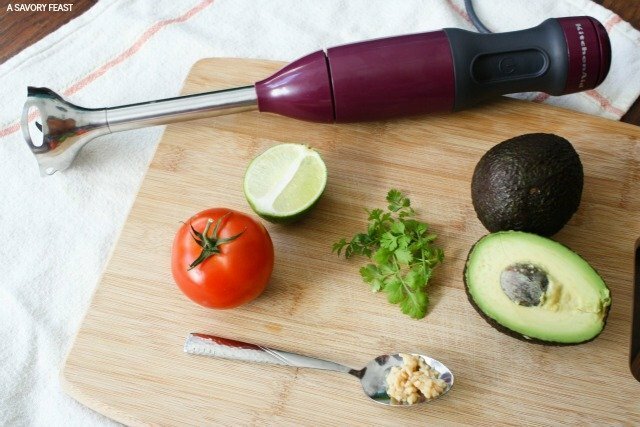 I need to make some guac with my immersion blender and use it to fill deviled eggs. Yum!